Photos from Patricia Di Bella-Sitler's post in Quick Meals for Busy Girls! 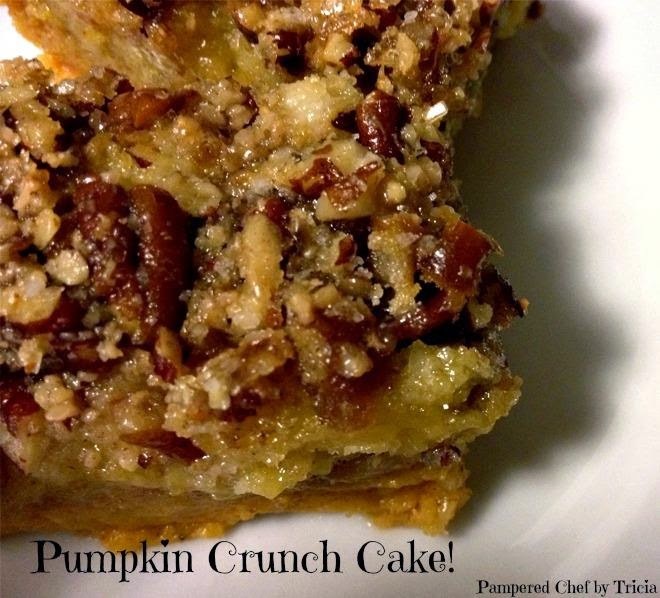 This is my families ALL TIME FAVORITE pumpkin recipe!! I grabbed this recipe from a co-worker in 2003 and I do it EVERY year. You won't believe it didn't take all day to make it. Don't forget to share this post to your wall for safe keeping!! Preheat oven to 350 degrees. In a large bowl, whisk together pumpkin, evaporated milk, eggs, sugar, cinnamon and salt. Pour into greased 13×9 baking dish. Layer DRY cake mix evenly on top of pumpkin mixture. Sprinkle pecans on top of cake mix. Drizzle melted butter evenly over the top. Bake for 50-55 minutes or until golden brown. Serve either warm or chilled with cream! Our Stoneware Rectangular Baker (#1338) is perfect for this recipe!